Myth #10: Only for elopements or later marriages. While choosing to marry abroad may seem more appropriate for encore marriages or for elopers, it’s now becoming a popular choice among those planning their first wedding, enticed by the idea of minimizing costs and stress. Myth #9: Has to be on a beach. Many pictures of destination weddings feature ocean backgrounds, but your matrimonial uniting need only be a couple hours away from your hometown to feel like a proper getaway. The excitement of Vegas may be more your style or the secluded vineyards of the Dordogne; the world is truly your oyster. Myth #8: Too difficult to plan. Organizing a wedding from a distance may seem daunting, but we have pretty much everything you need to plan your wedding right here on our site. 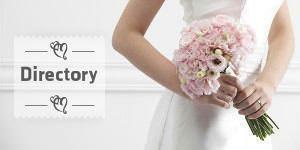 If you want to make it even simpler, you can hire a wedding planner to make the arrangements for you. They may also be able to find you some great deals and packages you couldn’t get on your own. Myth #7: Generic and impersonal. Instead of choosing a standard package deal, many couples seek to imbue their wedding with their own personal style. Working with a coordinator who is sensitive to your appeals will help you select the appropriate vendors. Myth #6: Legally too complicated. A few more steps are involved when getting hitched abroad, but the general procedure of obtaining a marriage license remains the same. Consultants who are familiar with your destination are available to guide you through the process. Myth #5: Only for a few friends and family. Not so. The average number of guests attending destination weddings is 40, but can be in the hundreds, especially if your destination is relatively close to home. It is ultimately up to you - the more you invite, the more will come. Myth #4: Obligated to pay guests’ way. It would be lovely to do so, but unfortunately footing the bill would exceed most couples’ budgets. Fortunately, etiquette holds that guests pay their own airfare, accommodations, and outings. Your planner can find discounted group deals on transportation and lodging that will make your guests’ stay relatively inexpensive. Myth #3: Responsible for all activities. Besides the wedding itself, it is customary to have a greeting and farewell fest for your guests. Other than that, you should feel comfortable knowing that you have provided them with a list of great options to explore on their own. Myth #2: Too expensive. Of course, extravagant destination weddings can be more expensive than simple at-home ones, but if you’re willing to be budget conscious, marrying abroad can cost a fraction of the price of a traditional wedding, due to size, favorable exchange rates, and discount packages. Myth #1: No one will come. Yes, they will. People love vacations, people love weddings, and people love you. It’s really a no-brainer.